Hey everyone! I been busy testing a couple of Nite-Ize products. 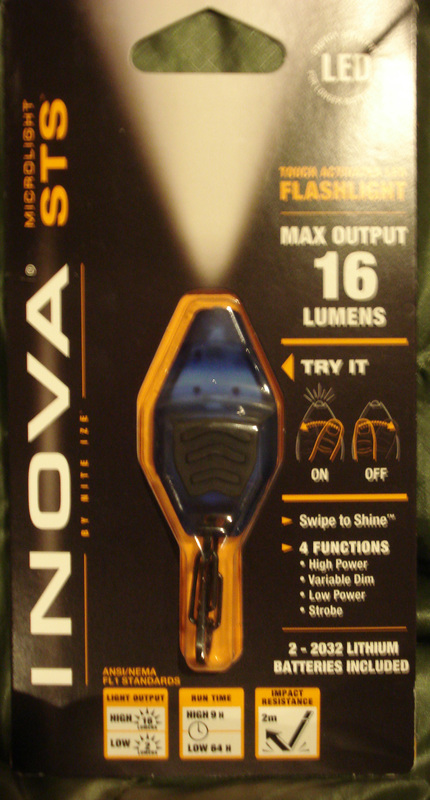 Today I’m going to talk about the Nite-Ize Inova swipe to shine light. I’ve had this little light for a couple of months now. First thing I noticed is the plastic case has a grip like feel to it. The color to me is appealing – the plastic case is a nice translucent blue. It has a small black tread /rubber piece on top. Attached to the end through a little hole is the cutest little s-biner. Who reads instructions? To learn everything about the technology of this light I actually did read the instructions. To turn this light on, you use a swiping motion with thumb/finger from right to left. This turns the light on high. Swipe again right to left while the light is still on it goes to a low light. Swipe one more time and you have a strobe light! Nice! To shut this light off simply swipe your thumb from left to right. 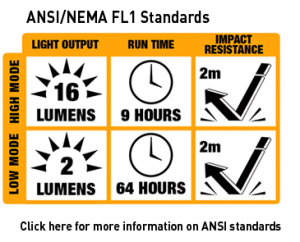 There’s a variable dim mode which allows you to set brightness to suit your needs. This is done by turning the light on high – then immediately placing your finger back over the on/off sensor will start to dim the light. The video below shows how this can be done. Another nice feature is auto shut off. If you fall asleep while reading a book like I do quite often, the light will turn off after 4 minutes. It will flash at about 3.5 minutes to alert you that its ready to shut off. I have been using the Nite-ize swipe light on a semi-regular basis. 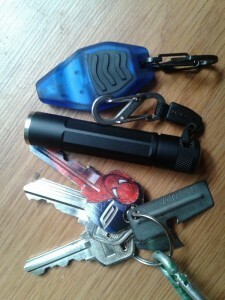 It has become a EDC light that I will switch out with another light. It’s so easy to throw in your pocket and not realize it’s there. I must admit, occasionally when I attempted to turn the light on with a swiping motion of my thumb – the light did not always turn on with the first swipe. It appears your finger needs to get into the area just right where the sensors are in order to turn on the light. With a little practice I figured it out. On the plus side of this – the light never turned on by itself while in my pocket. How many uses can we find for this little light? So far I have used the swipe light in the car at night, as a night stand light, I’ve kept it nearby by when there’s been storms, the little s-biner makes it easy to attach to your key chain, inside a tent or on a hammock ridge line. It can clip it to your backpack straps or attach to a string to wear around your neck. The swipe light can also be a great emergency light using the strobe feature. If in the woods at night it can become a beacon making it easier to be located. For a microlight this light is plenty bright to read a book, light up your tent or navigate around camp at night. In the woods it was bright enough to light up the trail when I pointed it to the ground. As far as battery life it has not shown any signs of the battery getting weaker. Although I can not be sure how many hours I have used the light so far. If you choose to carry on a camping trip to use on high for lengths of time the batteries are light enough IMO to carry spares. On my scales the light with s-biner weighs 14 grams or 3/4oz. The light measures 2″ in length and the s-biner is 1 inch. If you’re looking for a microlight & like gadgets this light is functional with the fun factor. Thank you for reading! Please feel free to leave any comments or questions below. Disclaimer: The Nite-Ize swipe to shine microlight was sent to me by the manufacturer.